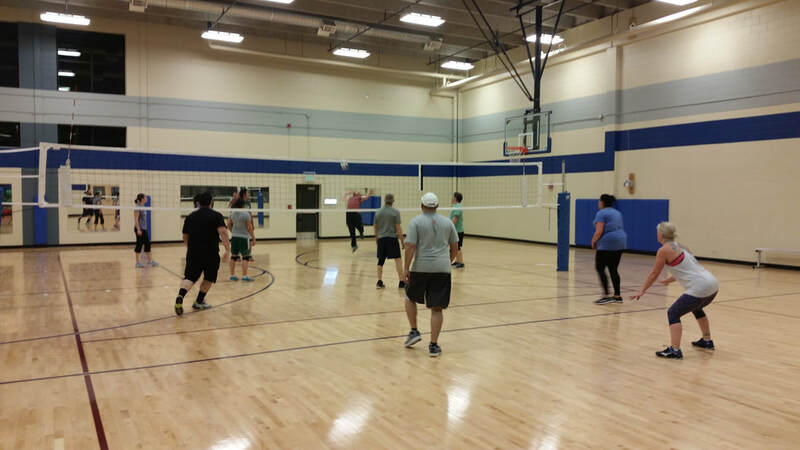 We have the BEST INDOOR VOLLEYBALL LEAGUES in the Northern Metro Area! Westminster Volleyball - Session 3 Registration is Now Open! 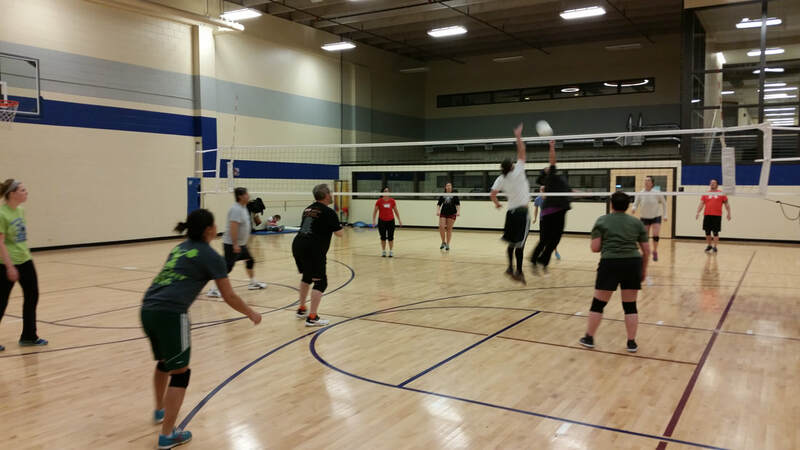 Come join us for best indoor volleyball leagues in Westminster! We play at Front Range Community College, conveniently located at 112th and Sheridan Blvd. We offer a Monday Night Recreational 6's league and a Thursday Night Advanced 6's league for this location. This is a great wooden court league and is one of the best gyms we play at! League play features a 7 match season, FULL ONE HOUR matches with a paid referee (at no additional cost) and all teams make it into our end of season tournament! 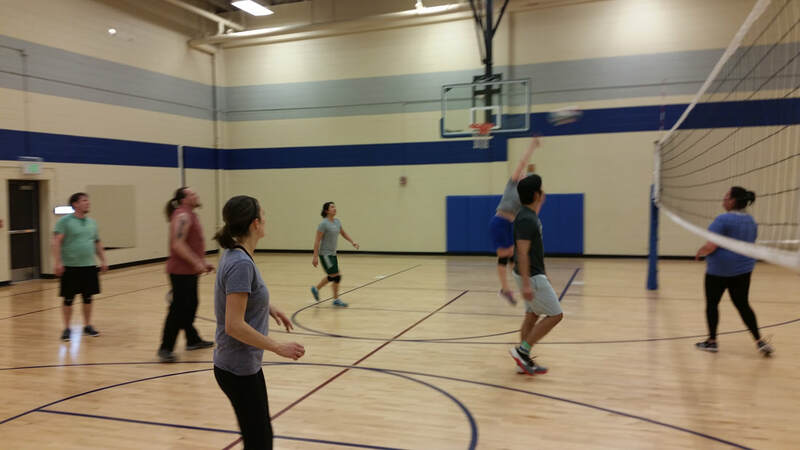 We accept individual, small group and team registration for the league! Why do our players have the most FUN? Full ONE HOUR MATCHES (3 sets to 25) each week. No-one else does this! Smaller rosters = MORE PLAYING TIME - we don't allow individuals to be placed on to teams of more than 6 players - ever! Seriously, how can you even play volleyball with 10-15 players on a team (like other leagues in town), you know only 6 go on the court at a time right? We are one of the most affordable leagues in Westminster - we don't spend tons of money on advertising and on huge offices. We've grown simply through word-of-mouth and through referrals! We hope to have you see why we have grown to the size we are and why every one comes back from season-to-season! Register as an individual, small group or team today!